If you haven’t yet checked out the sales centre for Sixty Colborne, Freed Developments‘ new St. Lawrence market condo, the space is a must see. 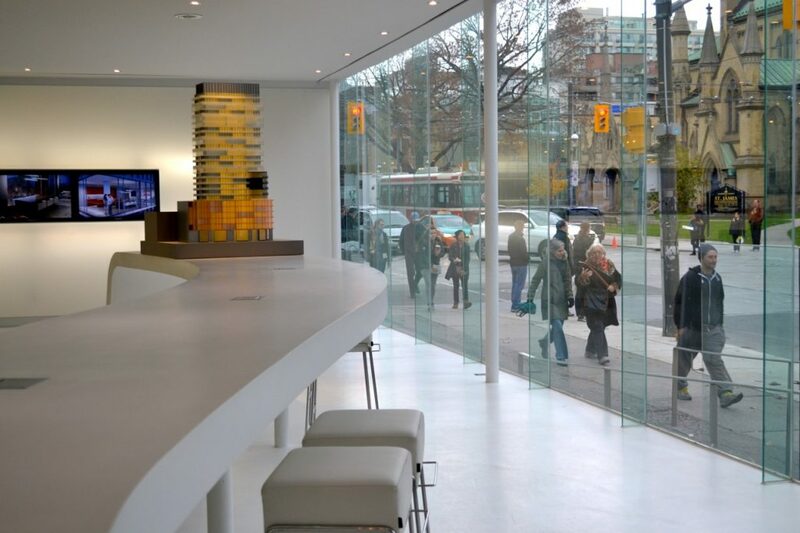 The floor to ceiling windows put you right at street level, picking up the bustling vibe of King Street East. You have to admire the layout for its moxie. 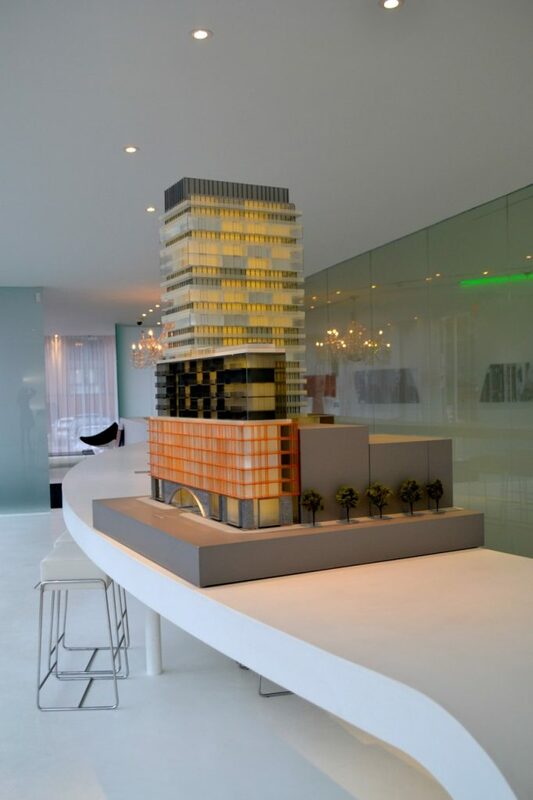 The scale model of the 25-storey structure. There are a wide variety of finishes, whether you prefer to keep things neutral or need a pop of colour. 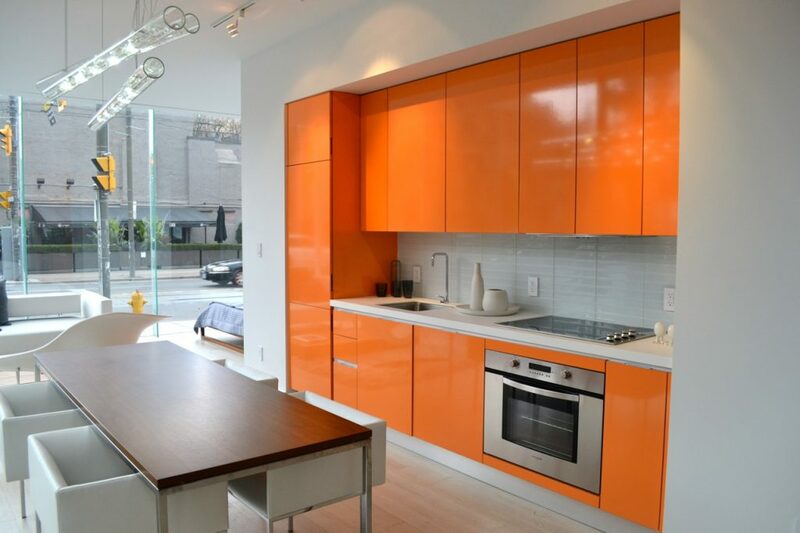 Speaking of colour, we’re digging this cheery orange kitchen. 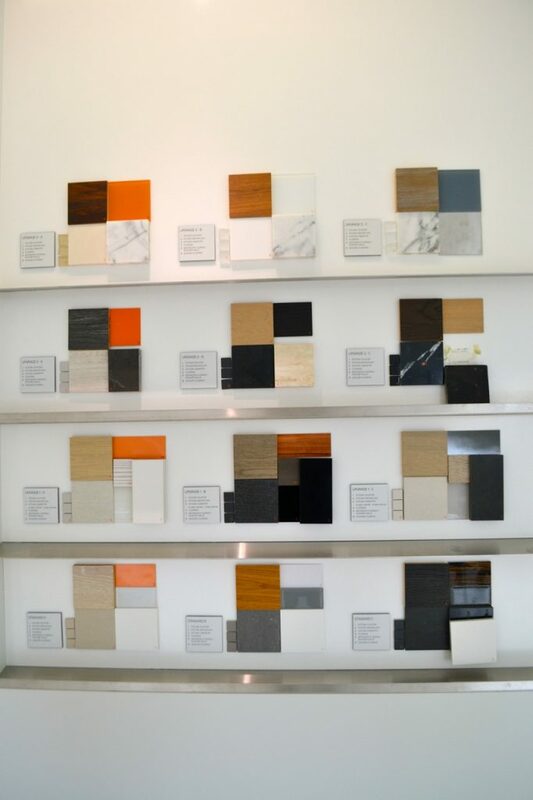 Buyers can choose between natural stone or white Corian countertops. 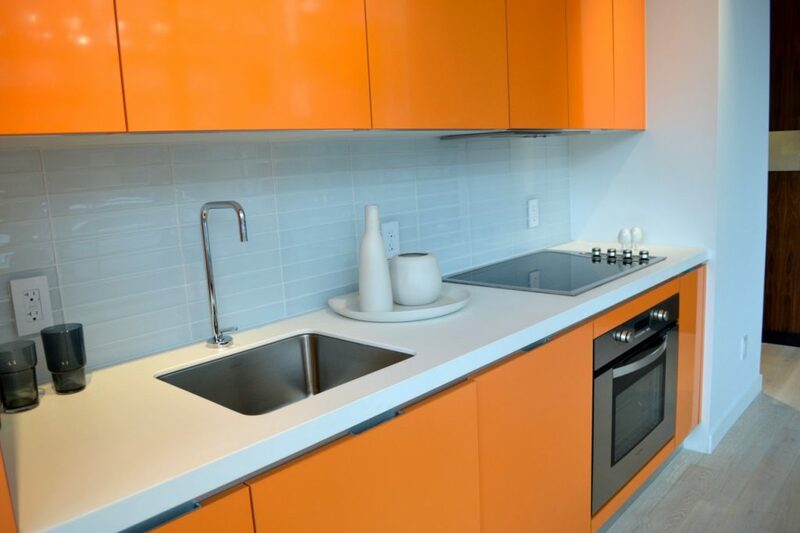 The kitchens will also be equipped with a stainless steel under-mounted sink and stainless steel appliances. 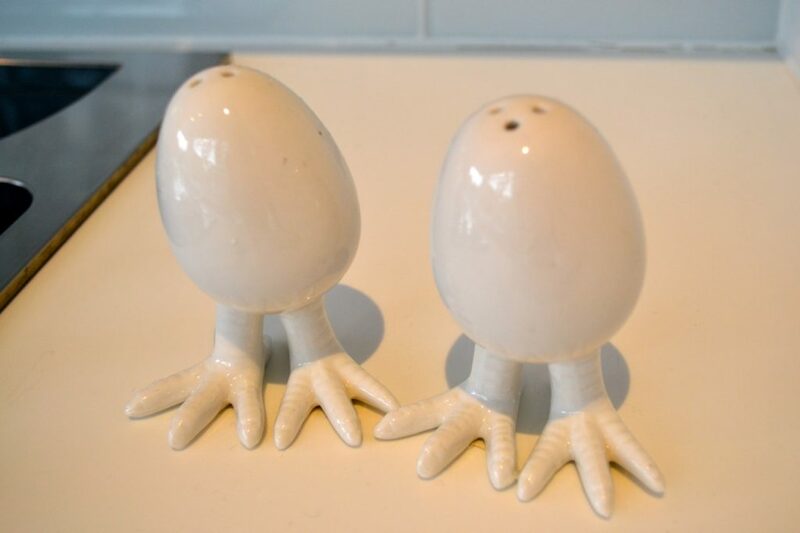 We need to know where they got those salt and pepper shakers! 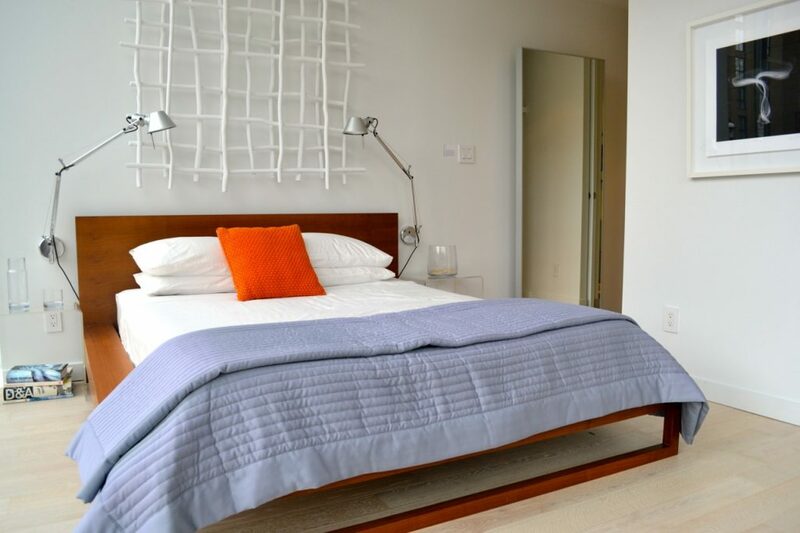 The living spaces features re-finished, engineered hardwood flooring with acoustic underlay. The master bedroom, with ensuite bathroom. 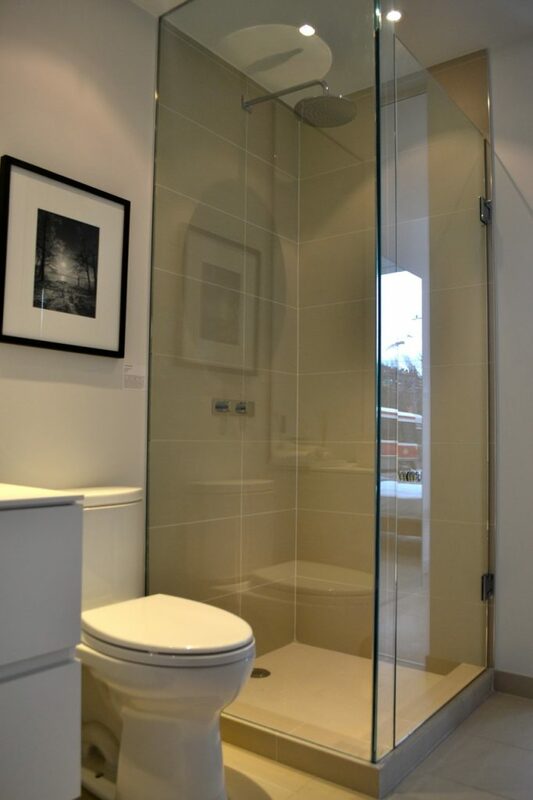 The bathrooms are equipped with glass-enclosed showers, porcelain tiles and Corian countertops. Sixty Colborne is already turning heads for its innovative design. Imagined by architectsAlliance, the contemporary building will feature a number of unique elements such as the open-air balcony upgrades for corner units. The contemporary condo will also feature a number of amenities including guest suites, exercise facilities, a pool, lounge and more. Suites start from $299,900. For more information contact 416 601 0060 or sales@sixtycolborne.com.